WideBand’s primary data center is located in an underground of solid limestone. The strength of this Bethany Falls limestone formation is 10,000 – 12,000 pounds per square inch, which is three times stronger than concrete. This particular underground features an extra 60 inches of hard limestone left above, making it even more sturdy than most other undergrounds. 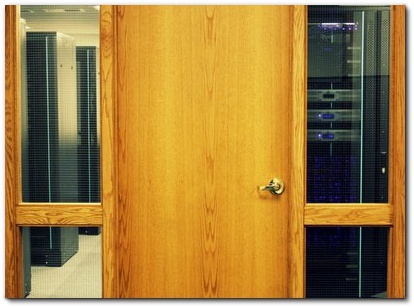 For security reasons, no customer access is granted to the data center. No outside equipment is allowed into the security perimeter. Customers are provided secure access to server and storage hardware provided by WideBand. The integration of GoldKey Enhanced Two-Factor Authentication and AES Encryption technologies are designed to meet and exceed the stringent requirements of enterprises. WideBand maintains a staff of GoldKey Security experts to assist customers in setting up securely hosted storage, respond to vulnerabilities, and continually audit the overall security of the system. At the customer’s option, data can be 100% encrypted with GoldKey Tokens, making the customer’s data completely inaccessible without an authorized GoldKey, even to WideBand data center staff.